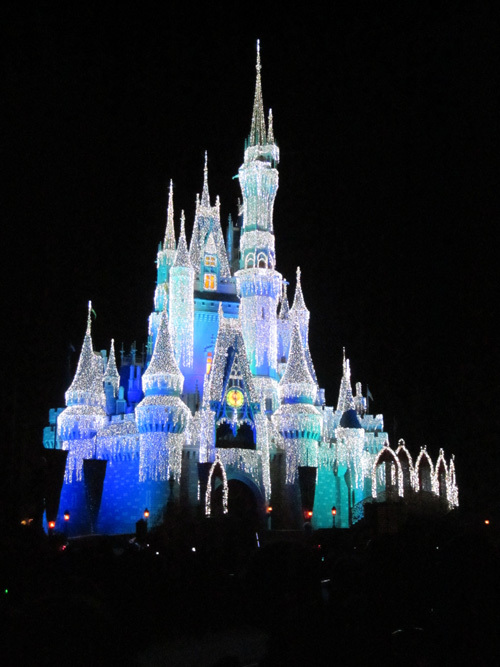 In December, my family and I visited the Magic Kingdom at Walt Disney World. 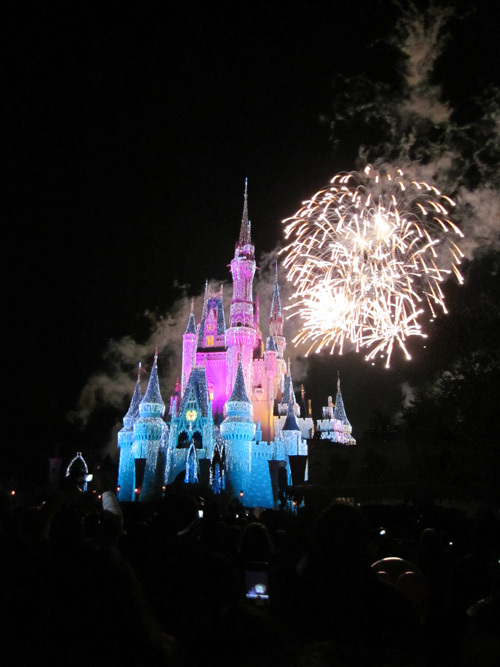 We had a fantastic time and stayed to watch the fireworks. 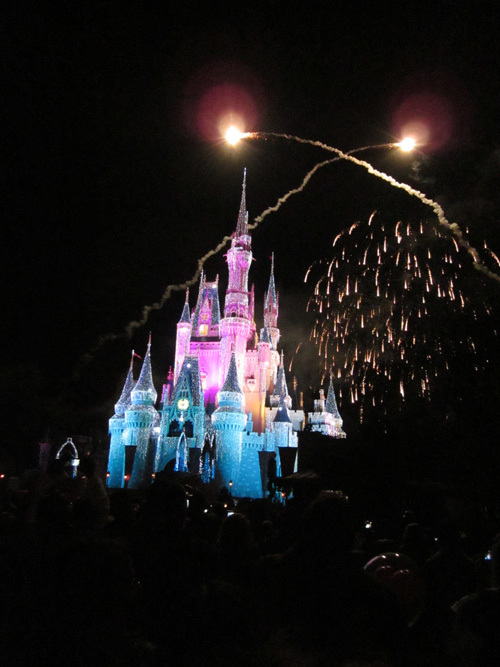 We’d seen them from our hotel previously, but never from right in front of the castle. Wow! 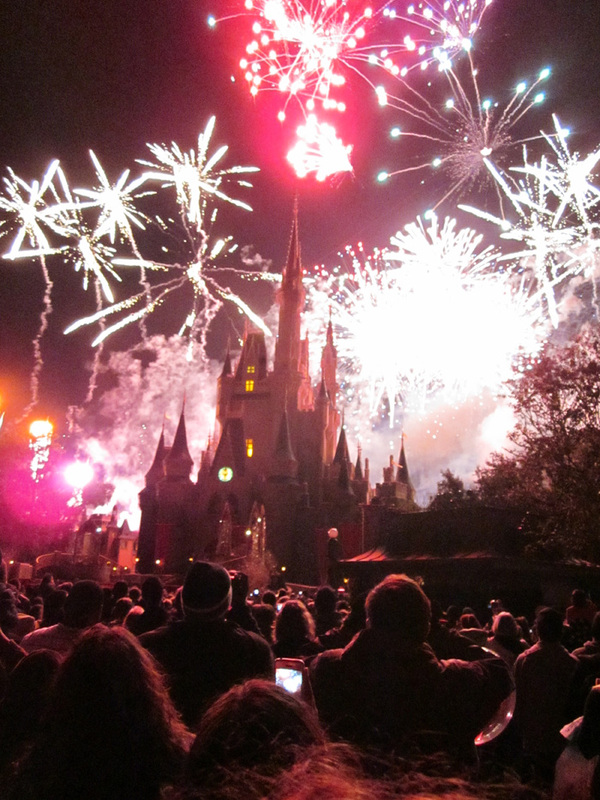 At the start of the fireworks, an actress dressed as Tinkerbell rode a zipline from the very tippy-top of the castle all the way over to Tomorrow Land. It was amazing to see her ride that high and far! After that, the fireworks took our breath away. I snapped a few pictures during the fireworks. 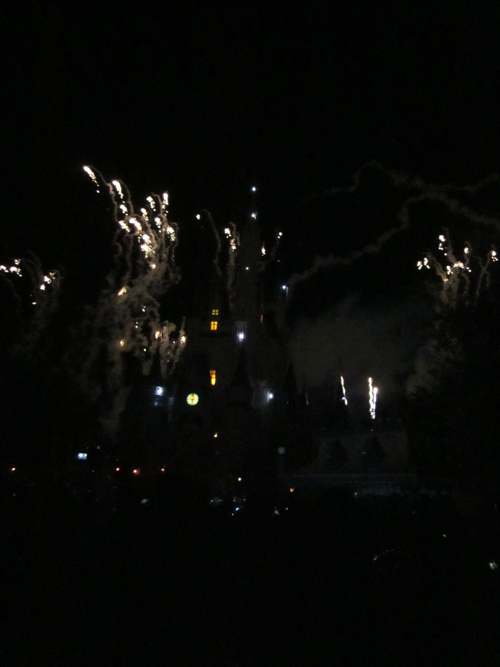 The first couple shows off the icicle-coated castle (a special treat for winter 2010), the rest are from the fireworks. That last shot was an incredibly lucky one. It really was a spectacular experience. Can’t wait to take the kids again! 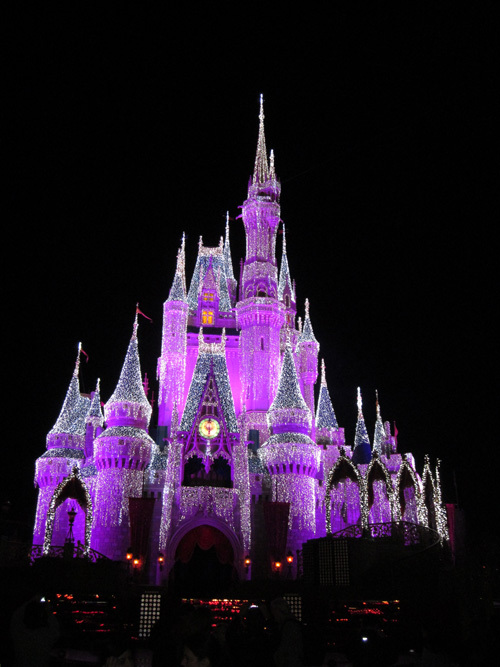 December is the time to go to Disney. We took the kids in 2008 and went the week after Thanksgiving. Almost no crowds, and on Friday you get the Christmas Party. Your pictures of the castle came out way better than mine. Has Disney started to move the Marvel licensed stuff over yet or is that still at Universal Studios? Thanks for the comment! Apparently some of the shops on Main Street are selling a limited amount of Marvel merchandise, but I didn’t see any. It’s still primarily at Universal.